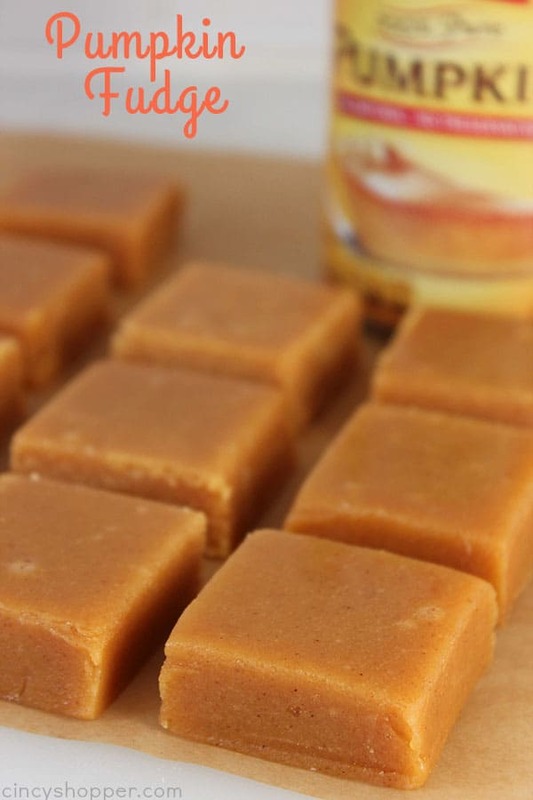 This Homemade Pumpkin Fudge will make for a super tasty sweet treat during the fall and holiday season. 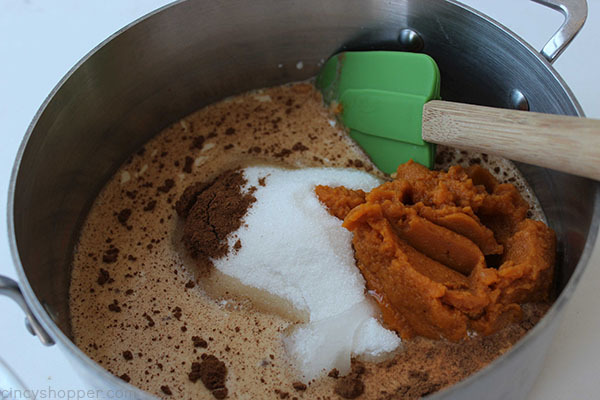 You will find it smooth and creamy with amazing pumpkin spice flavors. During the holidays, we are all about the fudge around our house. 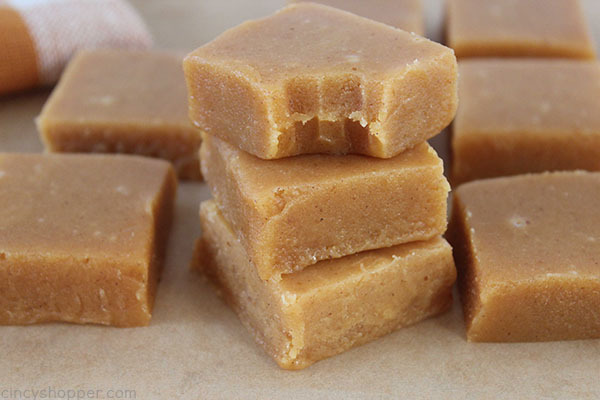 Family and friends immediately head to the kitchen to see if there is any fudge to be had. Most of our guests are usually looking for my hubby’s Old Fashioned Peanut Butter Fudge or even our Traditional Chocolate Fudge. 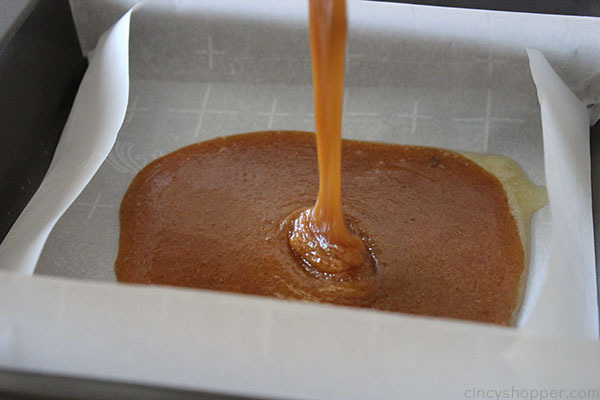 This fall, they are going to find a fun fall fudge that we made. 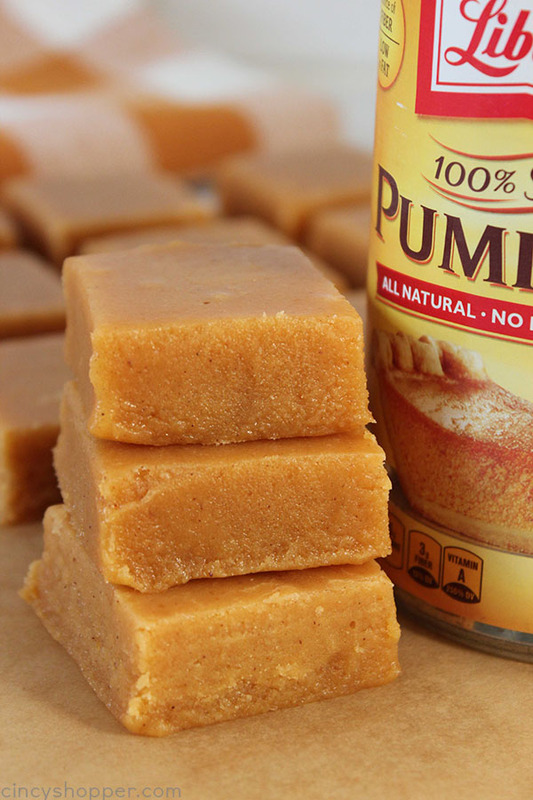 This stuff is definitely for the pumpkin lovers. 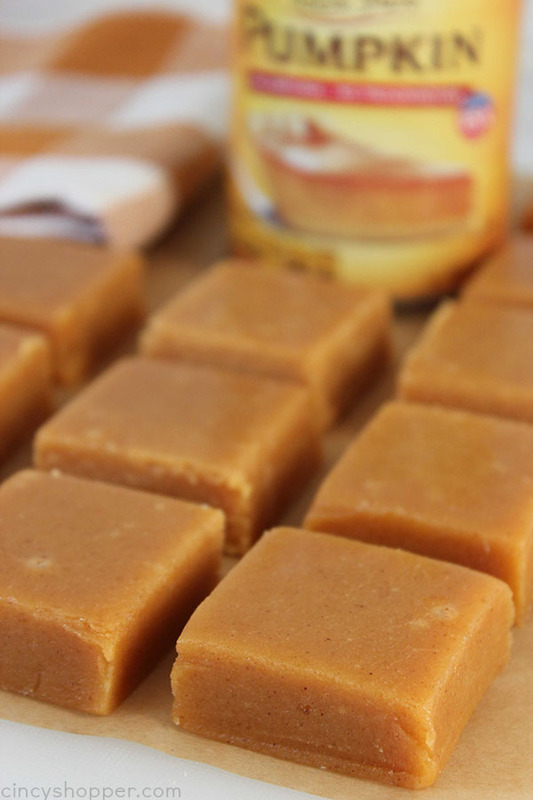 We loaded the Pumpkin Fudge with some pure pumpkin and pumpkin pie spice. YUMMY! Making fudge can be a challenge for some. Getting the fudge to the perfect temperature is the key. It always was a challenge for me so I leave it up to the hubby. 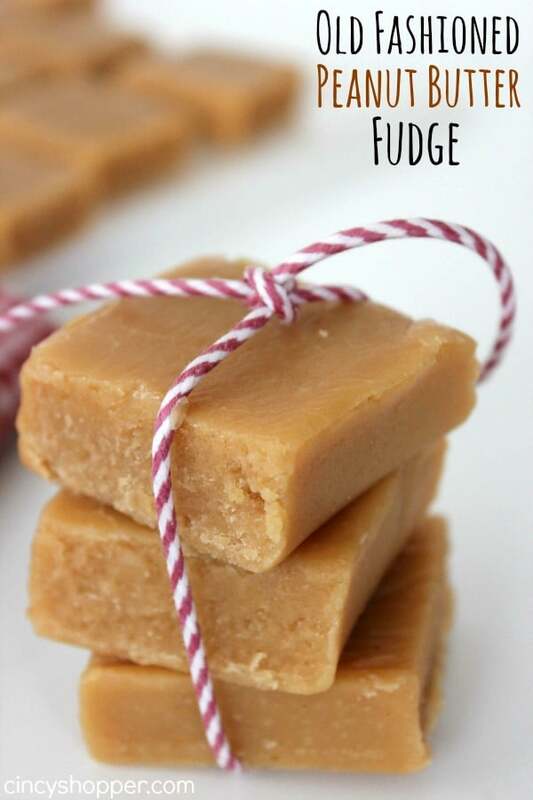 He always pulls off some amazing fudge recipes. 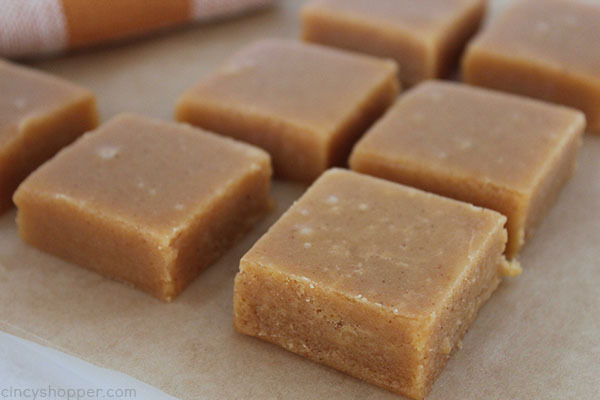 This Pumpkin Fudge recipe turned out perfect. He made it once last fall and we devoured it before I had any family members try it. I am glad he whipped up this batch this past weekend. I know they will be surprised to find a new flavored fudge since they are used to the usuals he makes. To make this Pumpkin Fudge, you will need pure pumpkin, sugar, corn syrup, pumpkin pie spice(store bought or Homemade Pumpkin Pie Spice), evaporated milk, and butter. 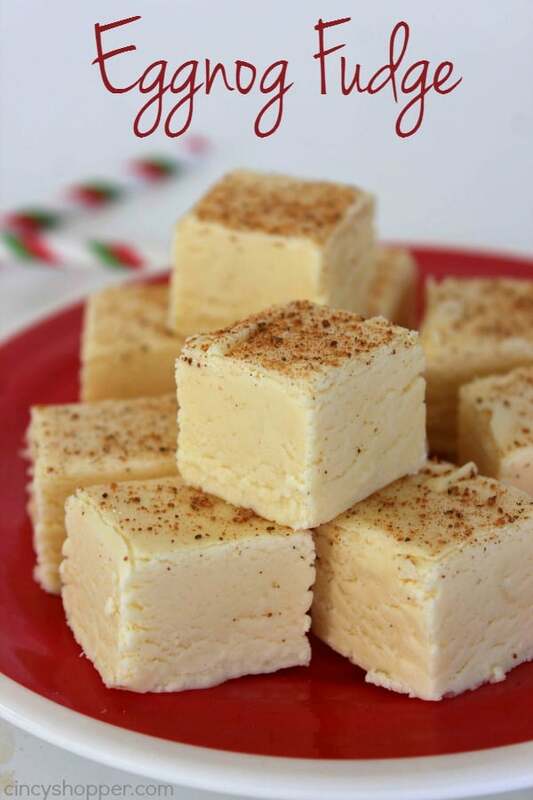 This recipe was made very similar to a traditional fudge recipe. Be sure to get your fudge to softball stage and all will be good. 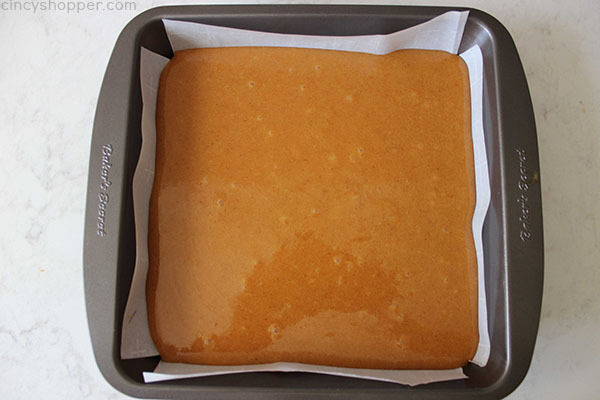 Use butter and grease inside of 8×8″ baking dish or line with parchment paper. 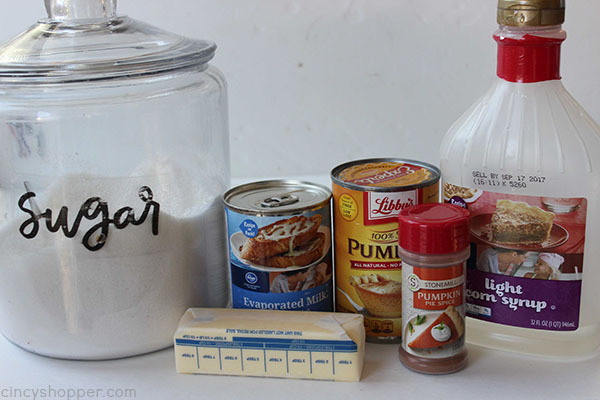 Mix pumpkin, spice, sugar, corn syrup and evaporated milk in large pan and cook over medium heat, stirring occasionally. Mixture will begin boiling. 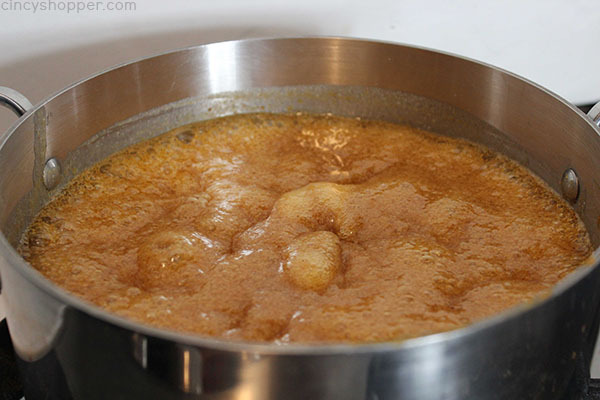 If it boils too close to top, reduce heat slightly. 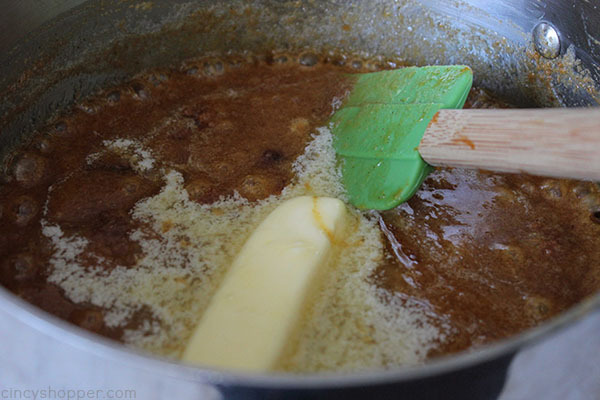 Add remainder of butter and stir until mixture start to lose its’ sheen. Then pour into prepared baking dish and allow to cool. 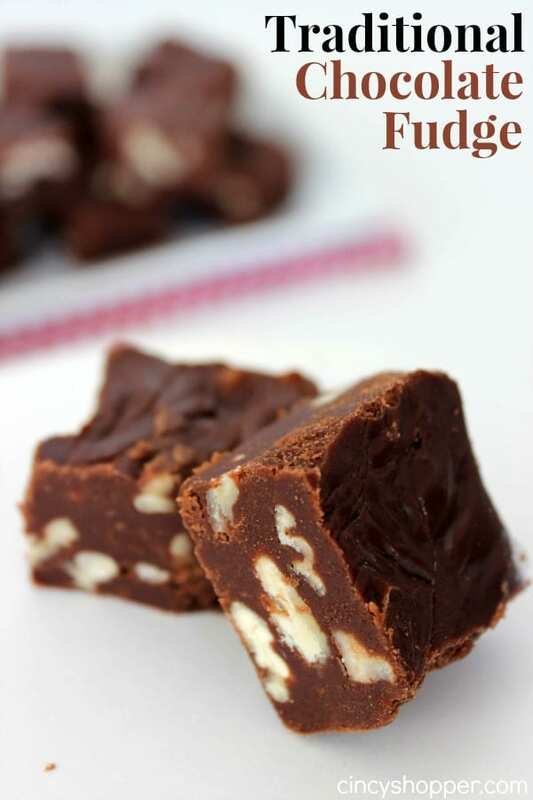 Do you have a favorite fudge? Use butter and grease inside of 8x8" baking dish or line with parchment paper. 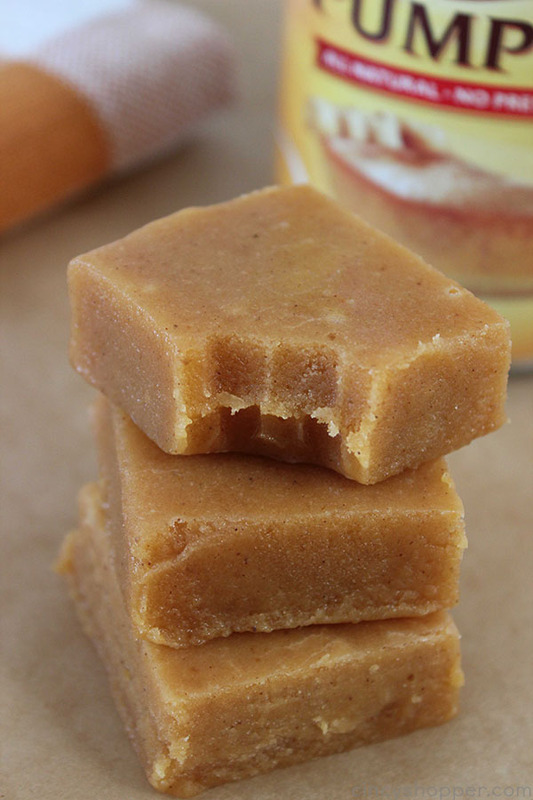 This pumpkin fudge looks so delicious. 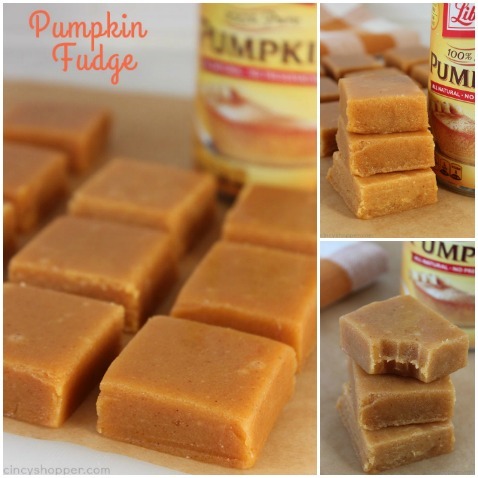 I cannot believe how much I love pumpkin but have never had a piece of pumpkin fudge. This would be perfect for Thanksgiving! Most of the time I am so full at Thanksgiving all I want is a bite of something sweet. The exact same thing happened to me. It didnt make fudge and was more like caramel. Never set. The taste was good though. You have to get it to the soft ball stage. Don’t go by temperature or time–I honestly don’t even bother measuring the temperature for this part–just make sure it passes the soft ball test. Measuring the temperature without doing the soft ball test is absolutely worthless. Once it reaches the soft ball stage, immediately take it off the heat (otherwise it will become gritty). 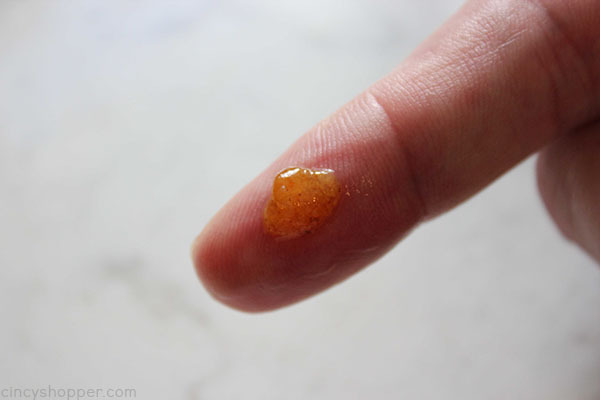 Also, make sure not to skip the step where you beat it until it thickens and loses its sheen (you should do this after it cools to about 110 degrees). If you do this, it will set. Ooooo! This looks so good I’m gunna have to try it! But I was also wondering about the cooling process; if it cools in fridge or out in the open? I am really frustrated by the 1/2 can of evaporated milk “measurement.” There are large cans and small cans, a specific amount would be awesome. I use one cup. No idea what the recipe writer had in mind, but one cup seems to work.